I was listening to a radio programme yesterday on the CBC Radio. A man who was a huge collector or something (I am not quite clear what it was because I picked up the programme as it was finishing) was talking about his spending contract with his wife. He had written a contract that specified how much he could spend a month on his hobby. The hosts took him fairly seriously and the guest didn’t take himself too seriously. He also explained that he often broke the budget for “special sales/events” that fell outside of the contract. It got me thinking about how I spend money on hobbies. I don’t really have a budget. I control my spending the old fashioned way….fear that I won’t be able to eat if I spend too much. Then I started thinking about my hobbies and which ones cost the most money, which ones cost more money than I expected. Cycling has been the least expensive. Once I bought the bike, except for some clothes and some nutritional supplements, there isn’t a huge ongoing cost. Of course, going on cycling trips, which I have done, costs money. Of course, I think of these as vacations, totally unrelated to my club cycling. I balked at stamp collecting because it seemed like something that my start off small, but grow to something huge if left unchecked. You might start off collecting one country and used stamps and then up trying to collect the world in mint stamps. Deluxe books for stamps cost a small fortune, not to mention inventory software and travel to stamp shows. I suppose coins are much the same. The book to house the almost one hundred years of the Canadian penny is probably worth more than the pennies themselves. Hockey cards seem to have so many sets and special cards that you’d be through your budget in no time. I suppose all collections start like that. They start small, but they grow. Suddenly you are spending more money on storing the collection and reading about the collection than actually collecting. How do you set a budget for whatever your hobby is? Is it a monthly amount or a yearly amount? Do you remember when I said I was trying hard not to become a stamp collector? Do you remember me telling you that Lawrence Block, with his fantastic Keller (the well adjusted, stamp collecting, cool as a cucumber, hit man) series was creating the urge to start a stamp collection, and that I was fighting it. Yes, I know, I have relapsed a few times. I have bought some magazines. I have taken the catalogue of Canadian stamps out of the library and renewed it the maximum number of times. I have started conversations online with stamp dealers (enquiries, just enquiries). I have even purchased a few commemorative stamps for Canada’s 150th birthday. And Lastly, I purchased and brought back some stamps from Vietnam as souvenirs. That, seems to pale in comparison to today. Today, I succumbed to fate. I am not sure how I discovered the information, but I did. I guess I will blame it on random internet searches….or Google. Anyway, I found out that there was a stamp show relatively close to where I live this weekend. To top it off, admission was free. So, I went to my first stamp show. 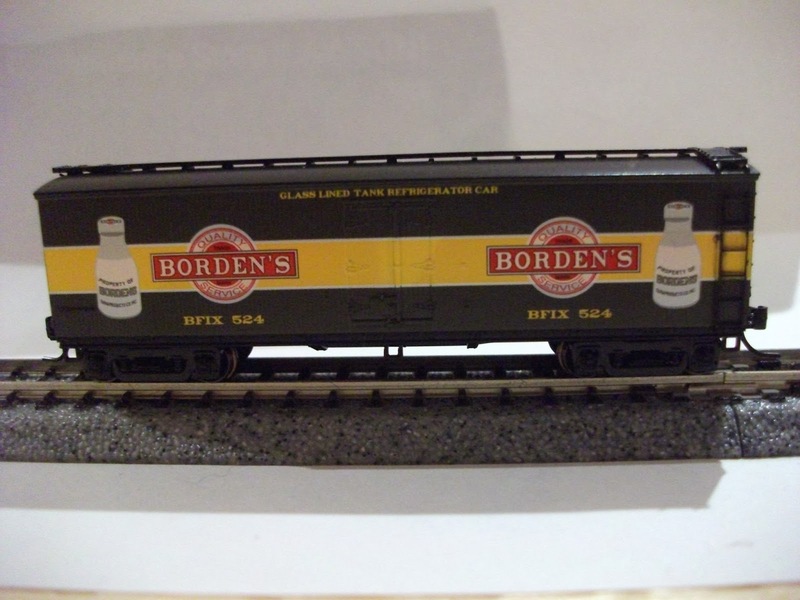 Having been to train shows, and model shows, I know the ability to not spend your money is hard at these things. There’s probably something to tempt you there. They’ve got catalogues, magnifiers, books, cases, a wide variety of tweezers, and of course the stamps themselves. I sort of guessed that I would buy the catalogue of Canadian stamps. If I can’t have the stamps, I can at least see what they look like. As for the people, while I did not see any children, I saw both men and women, young and old. I saw people checking off numbers in small notebooks, unwieldy pieces of paper, and even a few ipads. Some dealers were organized and others were haphazard, but all were knowledgeable. In fact, I should probably add that everyone was very friendly. What’s my takeaway from this? You’re bound to spend more money than you budget for. There are lots of friendly people in the hobby. There are some attractive women who collect stamps (I met one who was interested in Japanese stamps and wished I had asked her out for coffee). The stamps themselves aren’t necessarily expensive. There are way too many categories of stamps and stamps. You could get swamped by it all. One dealer, told me that if I jump in, it would be better to pick one country or one theme and stick with it. It’s good advice, but nobody else seemed to be taking it. You’ve got to invest not only money, but also time in the hobby. My overall experience was good. I saw many interesting things, but was able to hold off buying. 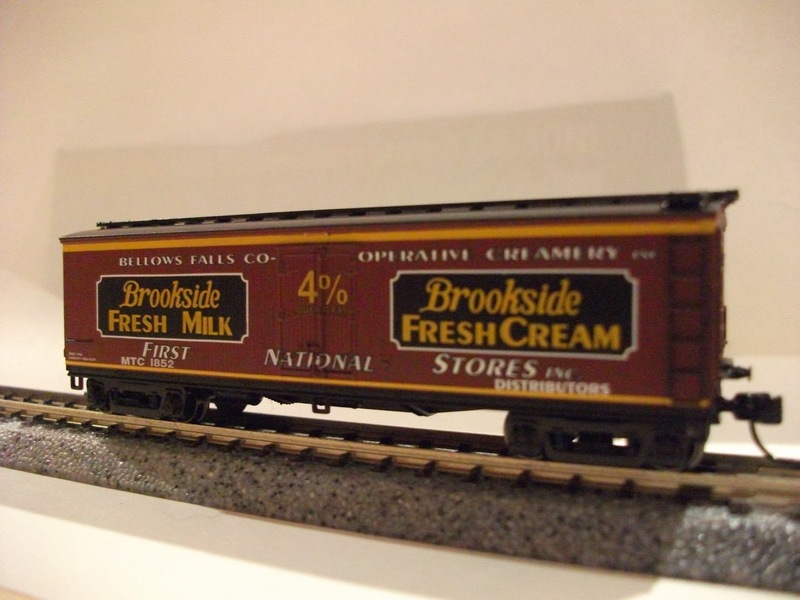 I was hoping to get the Canada Post Souvenir car for my birth year. Sadly, many dealers mentioned having it, but deemed it unworthy to bring to the show. I understood. 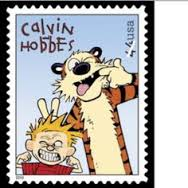 I did find the Calvin and Hobbes stamp set I wanted, but thought the price was a bit uncomfortable. I did come across something that made me almost buckle. There was a collection of Japanese stamps in hingeless mounted albums. It was fairly complete. The price was ….certainly more money than I had, ….or that I could spend…..but I wanted it. I really wanted it. Thinking upon it now, hours later, I still want it. I did pick up an inexpensive set of bicycle stamps. I don’t know whether this is the start of a collection, or just a passing fancy. I had spent quite a bit of time talking to the dealer, and felt I should spend a little money at his booth. There is a tradition in my family of getting Christmas stockings. I assume it is the same with every family who celebrates the consumerist side of Christmas. What I don’t assume is that the stuff in the stockings (which I call stocking stuffers, but MSWord seems do disagree with) is the same. I have seen some stockings full of stuff that would be considered “big” gifts in my house. In my case, most of the stuff filling the stocking comes from the dollar store, or is chocolate, lottery scratch tickets, or personal hygiene products. This year, amid all that stuff, I got some Panini stickers and the album to put them in. Having checked their website, it seems like Panini makes a variety of products to entice collectors and fans of sports, comics, animation, and others. From my childhood, I mostly remember hockey, rock stars, and famous battles. My students have told me that the World Cup (of soccer) is a guaranteed seller in their country. I suppose they sell it here, but I have never seen it. In this book there are 505 stickers needed. The book came with ten stickers. With each pack containing 7 stickers, one would have to buy 73 packages of stickers without getting doubles. It seems like a huge investment to me. This seems rather unlikely. According to the website in Canada, you could buy each card for 22 cents. That means approximately 111 dollars. Definitely cheaper than buying packages of cards. Of course, you can only buy 40 of them….so they say. In this age of collecting, there are lots of little frills; foil cards, all star cards, rookie cards, skills competition winners, and of course a break down of the Stanley Cup finals. No trophy case, and not all team logos have stickers. Some teams arenas have pictures….not sure why. This would be a good job for me. I would love to design some collector series. Maybe cards. I wonder how you get that job? I will save this thought for another blog. As for fun…..once a collector, always a collector. I still get a minor rush out of these things. Opening the package, scanning through them…. feeling rewarded when I get a new card, or a special card….feeling disappointed when I got another double. One of my regrets of early 2017 was not buying a collection of stamps I came across at a market in Vietnam. I was tempted, but had an unusual amount of resistance in me that day. I definitely thought they would make a good souvenir, but either wasn’t sure of the price conversion, whether I wanted them, or just had a good deal of resistance. Either way, I did come to regret this decision later. So, when I found myself back in Vietnam again in December of 2017, I no longer had that fabled resistance. Maybe it was the weeks of regret, maybe it was the mood I was in. I had taken out too much Dong from the bank machine and wasn’t going to change it back. I bought more souvenirs this trip that my last one; that is for sure. So, now I seem to have started a stamp collection. I wonder where this will lead? It is weird where hobby inspiration comes from. I get the itch to start a new hobby quite easily. Often it is from talking to people. When someone is passionate about something, then you can’t help but be intrigued. Often it is from television. Exposing the masses to something will certainly catch some people’s interest. Most recently for me, it was from a book. 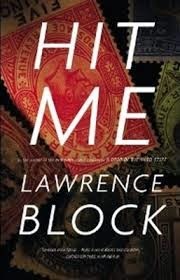 I started reading Lawrence Block’s Hit Me on a recommendation from a friend. He had recommended another series by Block, but I couldn’t find them in the library so I settled on this one. The basic story was that of a contract killer who loves….. wait for it…not alcohol. Not fast cars. Not loose women……stamps. As for me, yes, there is an itch….but I won’t even scratch this one. There is just too much out there. Too many stamps from too many countries. While the tool collector in me loves the idea of all those specialist tweezers, there is just too much involved. On top of that, since I really am more interested in the pictures than the collecting aspect, I would be better off buying a full colour catalogue. I could enjoy the hobby is a much more confined way. 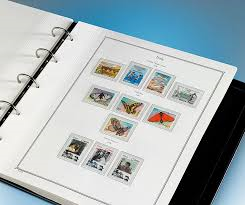 As for the novel….I enjoyed its episodic nature and reading about stamps. It was entertaining and certainly made my commute more enjoyable.